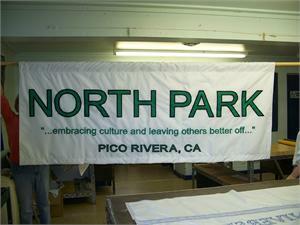 The banner on the left was dye-printed. 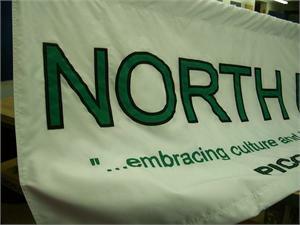 The banner on the right was sewn and appliqued. 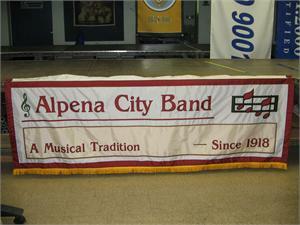 The above banner was sewn and appliqued in nylon fabric. 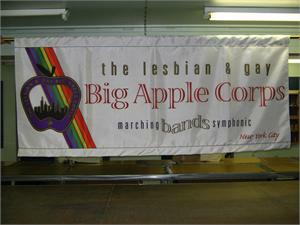 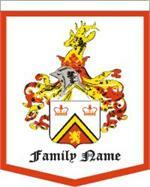 This banner was was sewn and appliqued on nylon fabric. 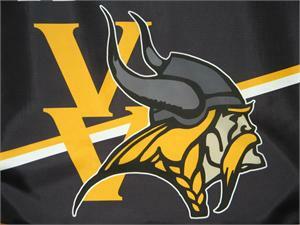 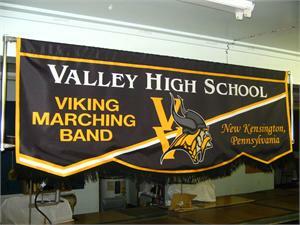 The Viking Marching Banner above was dye-printed on polyster fabric. 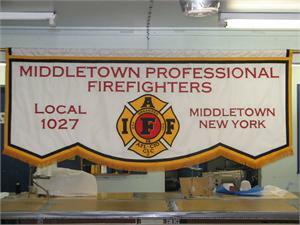 The above firefighters banner was made in nylon and sewn and appliqued.